This beautifully finished sheer chiffon circular skirt from Tappers and Pointers is suitable for ISTD regulation uniform and class wear. The skirt has an easy pull on and off softly elasticated waistband. Available in PLUM in a wide range of sizes, the measurement is for the waistband which is elasticated. Approximate Size Guide: 18" waist approx 2-4 years, 20" waist approx 4-6 years, 22" waist approx 6-8 years, 24" waist approx 8-10 years, 26" waist approx 10-12 years, 28" waist approx 12-14 years. Please do not hesitate to contact me for any other uniform/show/exam requirements and I will do my best to help! This listing is for the skirt only , we have a number of leotards available which will co-ordinate with this skirt as seperate listings - please see my other items (COT/3 Plum). The ideal match for this skirt is the Tappers and Pointers leotard COT/3 plum shown in the picture as the waistband of the skirt uses the same shade of plum as the leotard. 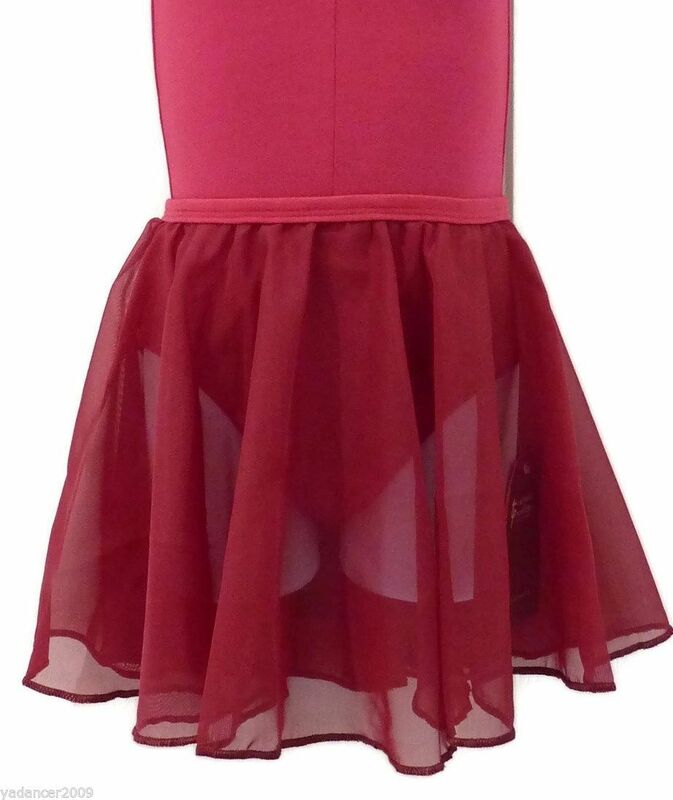 If you have a skirt and leotard from a different brand you may not get and exact match!